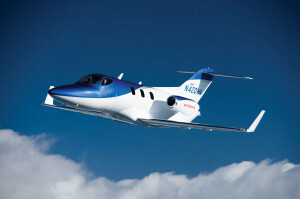 Enviro Systems is proud to be a key supplier for the new Honda Jet. Enviro Systems announced the 40th program addition, the HondaJet on Friday December 11th, 2015. “Honda Motor Company said the U.S. certified its $4.5 million business jet, clearing deliveries to begin by the end of the year”, according to Bloomberg Business. Honda has stated that the new jet will be the fastest, quietest and most fuel efficient in its class. Paul Campbell President and CEO of Enviro Systems states, “Enviro is producing the air conditioning, bleed air control systems and other various air management components for the HondaJet. We are extremely proud to be a key supplier for Honda Aircraft”. This announcement is a step in the “substantial growth phase for Enviro Systems over the next five years and represents a significant piece of revenue” according to Campbell. Enviro Systems Inc. is pleased to announce the appointment of Paul Campbell, President and CEO as of June 15th, 2015. Paul replaces Craig Froelich who will enter retirement later this year after an illustrious 17 year career at Enviro Systems, Inc.
Paul was most recently the SVP, Service Business at Capstone Turbine. Prior to Capstone, Paul spent 16 years at engine manufacturer Rolls-Royce in several executive positions including business development, program management, and finance. Paul has a Bachelor Degree in Accounting from Indiana University and will be located at Enviro Systems, Inc.’s headquarters in Seminole, OK.
Enviro Systems Inc., a Zodiac Aerospace company, is an AS9100 registered designer and manufacturer of environmental control systems and related components for business, commercial and military aircraft. Enviro’s product line includes vapor cycle air conditioning systems, bleed air control valves, sensors, digital controllers, brushless fans, electric heaters and air conditioning components. Zodiac Aerospace acquires Enviro Systems Inc.
SEMINOLE, OK. December 23, 2014– Enviro Systems announced today that it has been acquired by Zodiac Aerospace of Plaisir, France. Zodiac Aerospace is a leading supplier of engineered equipment and systems to the aerospace industry including aircraft interiors systems (cabin interiors, seats, galleys and equipment), aircraft systems (power management, fluid systems, water and waste, oxygen systems, control systems) and AeroSafety systems (escape slides, rafts, arresting systems…). Zodiac Aerospace has over 30,000 employees worldwide including 11,000 in the US and had revenues of €4.2 billion ($5.5 bn) in its most recent fiscal year. Enviro Systems Inc., located in Seminole, OK, is an AS9100 and ISO9001 registered designer and manufacturer of environmental control systems and related components for business, commercial and military aircraft. Enviro’s product line includes vapor cycle air conditioning systems, bleed air control valves, sensors, digital controllers, brushless fans, electric heaters and air conditioning components. Enviro will be a part of Zodiac Aerospace’s Aircraft Systems segment and continue to operate from its Seminole facility.